We share a common human urge: to communicate with each other. If you’ve traveled to a foreign country, or tried to learn a new language, or struggled to talk with a non-native speaker who has little to no English vocabulary, you know just how challenging that can be. The challenge is real and it’s growing: the U.S. Census Bureau says the number of people who speak a language other than English at home has nearly tripled during the past three decades. That figure vastly outpaces the nation’s 38 percent population growth. 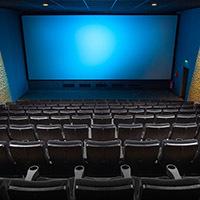 According to U.S. data released in 2013, some 60.6 million people — or nearly one in five people in the U.S. aged 5 or older — spoke a language other than English at home in 2011. 1 in 5 People in the U.S. 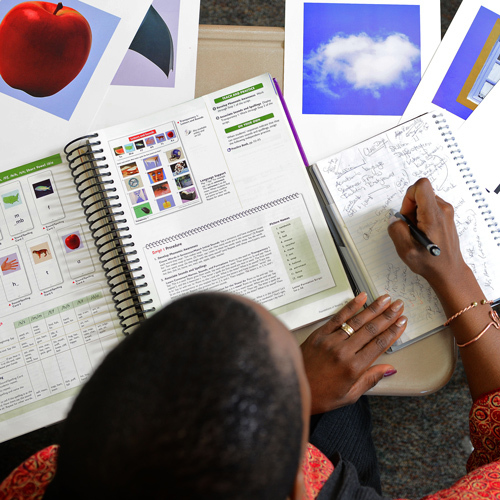 Prepare teachers for licensure as ESL public school instructors in North Carolina. Train and certify instructors to teach English abroad, from Japan and South Korea to Costa Rica and Mexico, as well as with immigrant communities in the United States. Welcome thousands of business professionals, travelers and prospective students from around the world to our country, our language and our culture through the Summer Institute in English, now in its 53rd year. Help NC State’s non-native speakers — visiting scholars, international students, and facilities workers alike — gain confidence and skills in communicating in English. Cecilia Tomasatti gets on-the-ground experience teaching while she earns a TESOL certificate (Teaching English to Speakers of Other Languages). She's leading a pilot Workplace Communication class for NC State facilities staff who are learning English. A Fulbright scholar from Italy, Tomasatti is also earning a master’s degree in sociolinguistics. Cecilia Tomasatti stands before her class of adult learners, grinning with encouragement. “The verb you chose, Gloria, is ‘clean’? Great!” she says. Tomasatti gently explains again that in English, unlike Spanish, the third person singular requires an “s”. Other students murmur as they practice their own verbs: Rake. Wash. Mow. Weed. Recycle. They are NC State housekeepers and groundskeepers, working hard to grasp the most basic English concepts. Most speak little to no English. Their class is part of a pilot project initiated between the university’s facilities unit and the Department of Foreign Languages and Literatures’ English as a Second Language program. Although facilities worker Maritza Ramos has worked at NC State for 12 years, the Salvadoran native's English is limited. 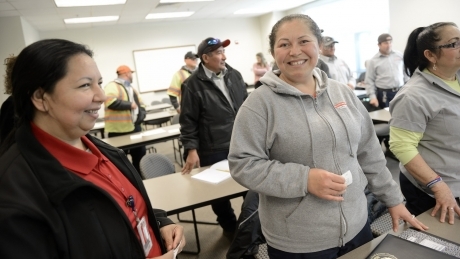 A pilot class is helping Ramos and other facilities staff improve their workplace communication skills and better navigate American culture. 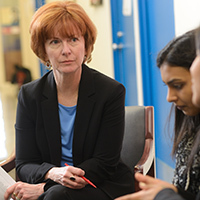 Tomasatti teaches the workplace communication course as part of a certificate she’s earning. 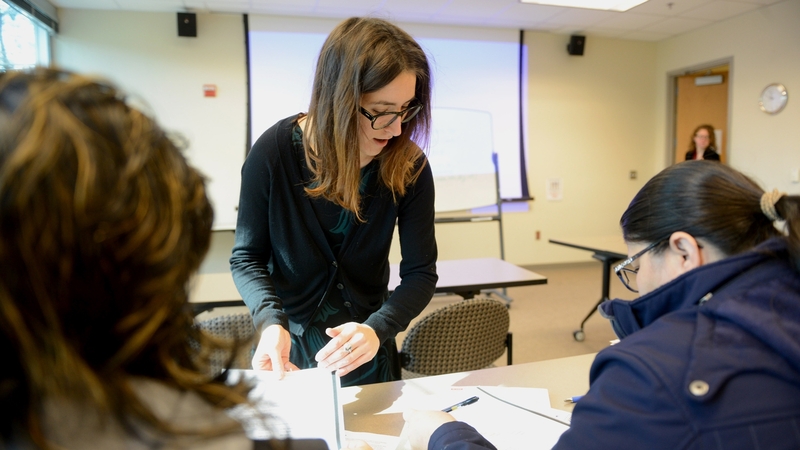 Known as TESOL, or Teaching English to Speakers of Other Languages, the non-degree certificate prepares instructors to teach English abroad, in community colleges, in immigrant communities — and in Tomasatti’s case, in NC State’s own backyard. 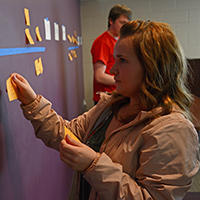 The TESOL program aligns with NC State’s think and do mantra. Students take intensive online and in-class courses and also observe and practice teaching while they’re in the program. The English learners in the classes they teach are sometimes NC State facilities staff. 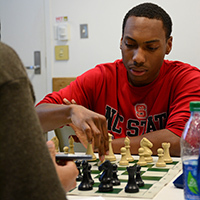 Other classes accommodate visiting scholars, international students and members of the Triangle community new to the United States and to the English language. Maritza Ramos (center) and her NC State facilities classmates are highly motivated students who take pride in the workplace communication skills they are gaining. Her lesson plans encourage and teach her students what they need for the workplace. The students are learning, for example, how to describe the work they do. TESOL certificates equip instructors to teach English to immigrant communities or in classrooms around the world. Mira Abed (TESOL ‘12; B.S. polymer and color chemistry, B.A. international studies, ‘12) taught English (and math and science!) at an international high school in South Korea in 2013. Abed put the money she saved toward graduate school. Now she’s earning her Ph.D. in fiber and polymer science at NC State. She’s pursuing a career in science communication, using many skills she gained with her certificate. Kyle Davis (TESOL ‘11; B.A. political science and history, ‘11) netted a job teaching English in Georgia (the country), where he met his wife. 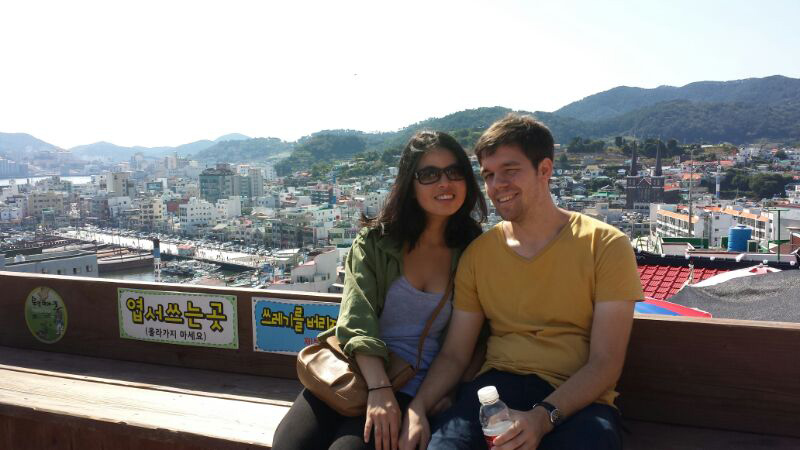 They then taught English in Korea for two years, saving enough money for their wedding. Both committed to careers teaching English: Davis earned a master’s degree and teaches in Wake Tech's TESOL Certificate Program. His wife teaches ESL in NC State's Intensive English Program. 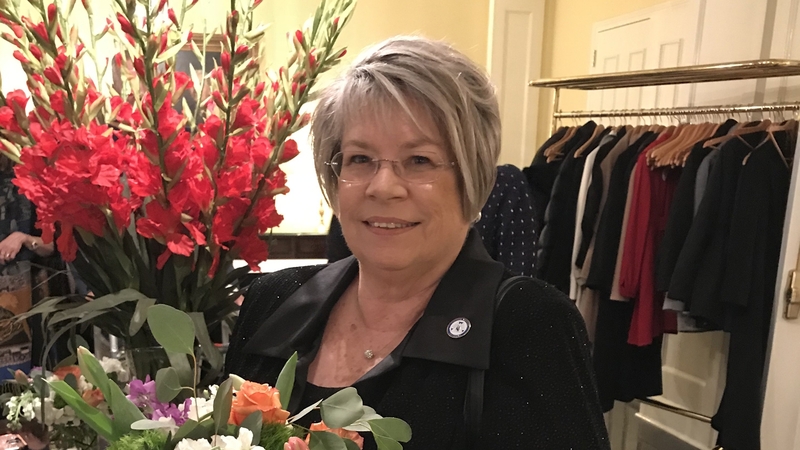 Carolyn Newman (TESOL ‘13; M.Ed., Training and Development '11) has worked as an ESL instructor, first in a community college, and now with the Orange County, NC, Literacy Center. She also trains volunteers to set up ESL programs in churches. At her own church, she teaches and supervises nine volunteers who teach ESL students. 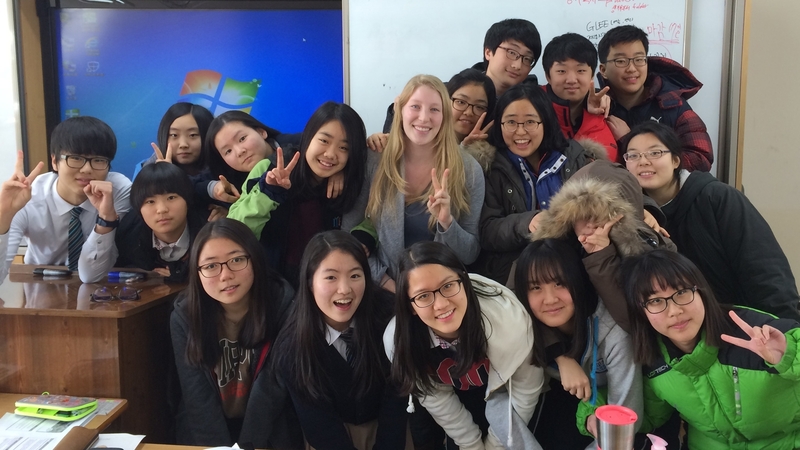 “It seems that I live and breathe teaching ESL, and I love it,” she says. Taura Simmons credits her training from NC State’s English as a Second Language (ESL) program for fully preparing her as a teacher, advocate and leader. 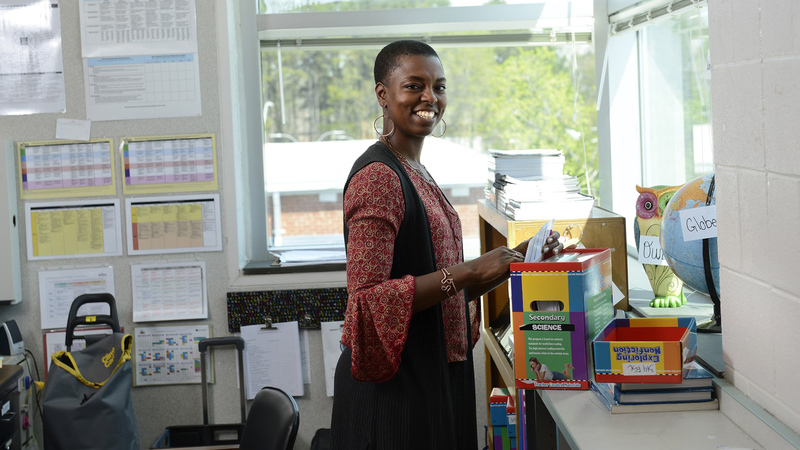 Now in her fourth year at Zebulon Middle School, Simmons says teaching ESL is the most exciting thing she's done in her life. One thing Taura Simmons knows for certain: if you’re teaching English as a second language to children, and you want to build their confidence enough that they can speak up in front of people, you’re going to need to hone your creative superpowers. Simmons, an ESL teacher at Zebulon Middle School, recalls a particularly reticent student who wouldn’t speak above a whisper. That changed the day Simmons sent the student to the principal’s office to lead the Pledge of Allegiance over the school intercom. Now in her fourth year at the eastern Wake County middle school, Simmons is keenly aware of the myriad challenges her students face. While some students arrive fully literate in their native language, some have no English language whatsoever when they arrive. Many have had interrupted schooling, and are not literate even in their own language. Many have no study skills. They may be refugees from a war-torn area, or from a region plagued with gang violence. 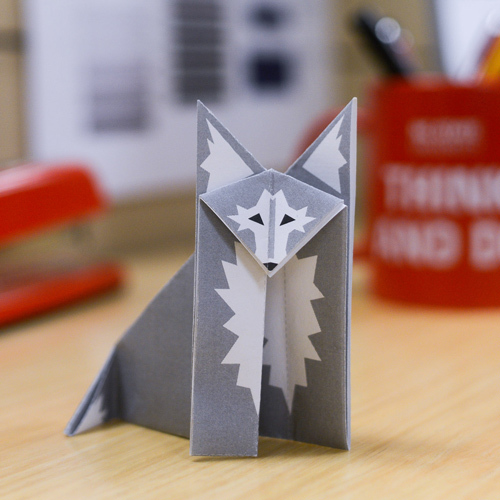 I got real-world training at NC State to become an ESL teacher. And teaching is the most exciting thing I’ve ever done in my life. “These students often don’t have the language to share their stories when they arrive,” she says. “That adds to the challenges of knowing how best to support them. 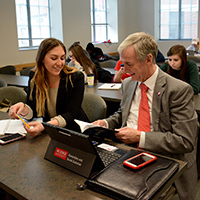 NC State offers many options for those who want to teach English as a second language. She credits her training from NC State’s ESL program for fully preparing her as a teacher, advocate and leader. 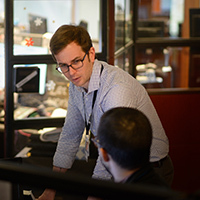 “I can’t speak highly enough of the program,” says Simmons, a lateral entry teacher who chose the field after a 20-year career in financial services. “I was able to work in the school while I was learning. The ESL faculty was very hands on and collaborative. We had regular access to professionals who shared their experiences and helped us reflect on ours. And even as graduates, we still have access to the program faculty, and they are phenomenal.